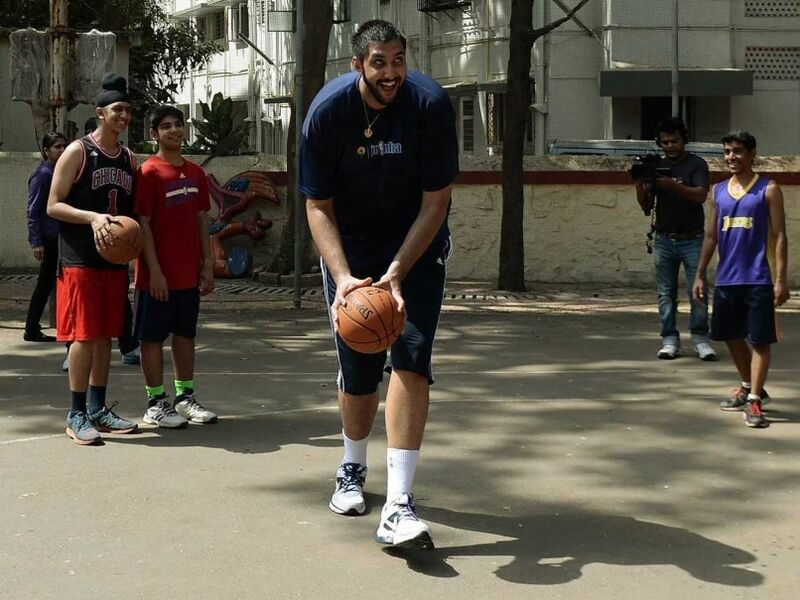 The first person of Indian origin to play in NBA, Sim Bhullar feels India needs to develop talents early to see them shine at the international stage. Sim Bhullar, who became the first Indian-origin player to play in the National Basketball Association (NBA), on Saturday said he wished to see Indians featuring in the United States-based competition in the years to come. Indo-Canadian basketball professional Bhullar on April 2 signed a 10-day contract with the NBA team Sacramento Kings. "Basketball in India can definitely grow. More than a million kids are playing basketball in India and over thousands of coaches who are helping them train," Bhullar said at a press conference here. "It's important to develop the kids when they are younger. I hope to see couple of Indians in NBA in next few years." Five days later, the seven feet five inch Toronto-born Bhullar made history when he checked in the fourth quarter for the final 16.1 seconds of the Kings' 116-111 win over the Minnesota Timberwolves, becoming the first player of Indian descent to play in an NBA game. He scored his first two points on April 8 in a 91-103 loss to the Utah Jazz. The 22-year-old said his American teammates, media and everyone in the United States were very happy after he was selected to play for NBA. "I have great relationship with everyone out there in my team. They are all happy for me to be there playing as an Indian. There was a great media out there. They all supported me and they were all happy as I was out there," he said. When asked how excited he was after getting the contract from NBA, a smiling Bhullar said, "You don't think about anything else. I was just excited as I was getting an opportunity to play at the NBA. Be on NBA roster, have own jersey in team store. It's about proving that you want to be there by giving your best." He added that he is a much improved player after his stint with the Kings. "There was a lot change in me as a player with the experience I had with the Kings. Everyone saw the change in me. I was a lot serious, body was lot better, I was going hard at the practice. I was showing the coaches I was ready to go and play." Bhullar said his Twitter, Facebook, instagram accounts were flooded with thousands of notifications and wishes after he was selected to play for Sacramento Kings. "I can't describe the reaction, it was just crazy. Probably day after I signed the contract, I had close to 10,000 to 15,000 notification and most of them were from fans from India. That was on Twitter. "My Facebook was blowing up, my instagram was blowing up. The support was amazing. I am just happy that I have got chance to come to India and meet those people for all their support," Bhullar said.